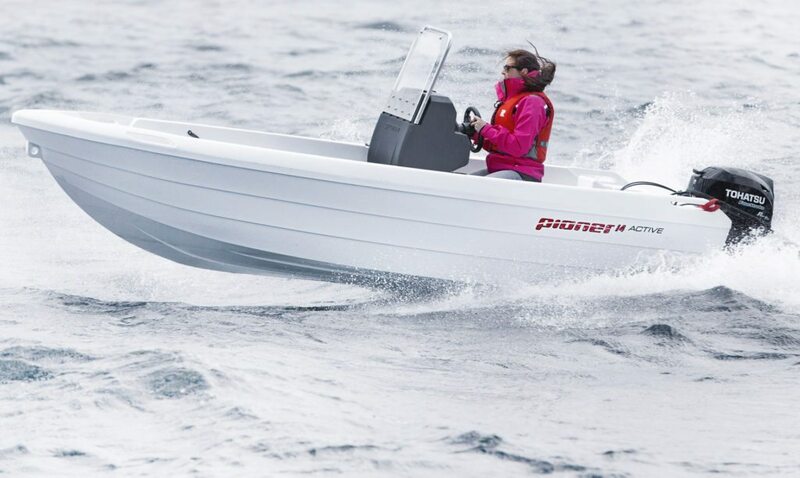 The Pioner 14 Active combines classical lines and exceptional comfort with modern details and a beautiful finish. 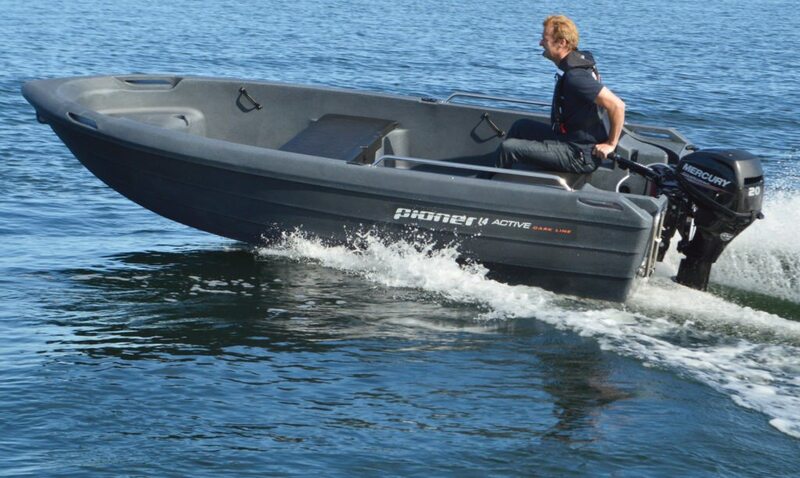 It’s great for active boaters. 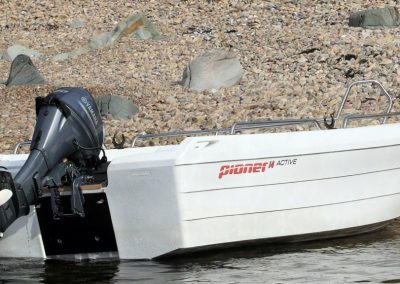 Rope cleats have been integrated into the hull of the boat. 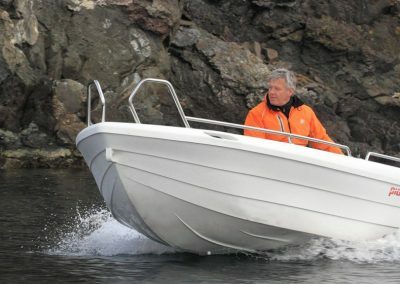 A practical space on the port side is suitable for long objects, such as a boat hook and fishing rod. 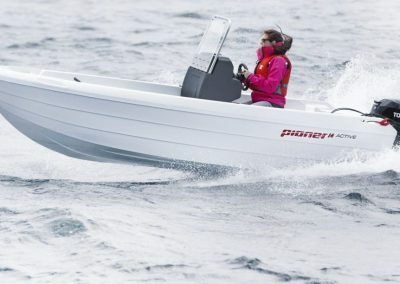 On the starboard side there is space for smaller items, such as mobile telephones and wallets. 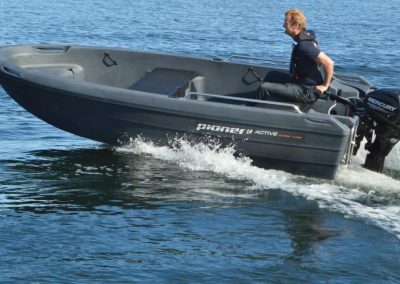 The boat also has a battery area, space for a fuel tank under the stern thwart, and additional storage space under the middle thwart. 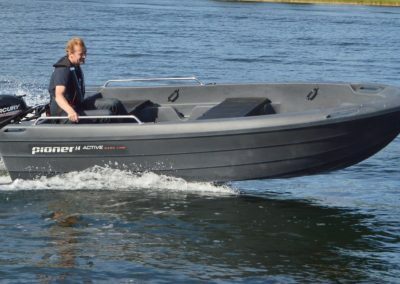 The boat has considerable buoyancy and high flooring, and is perfect for today’s 4-stroke engines. 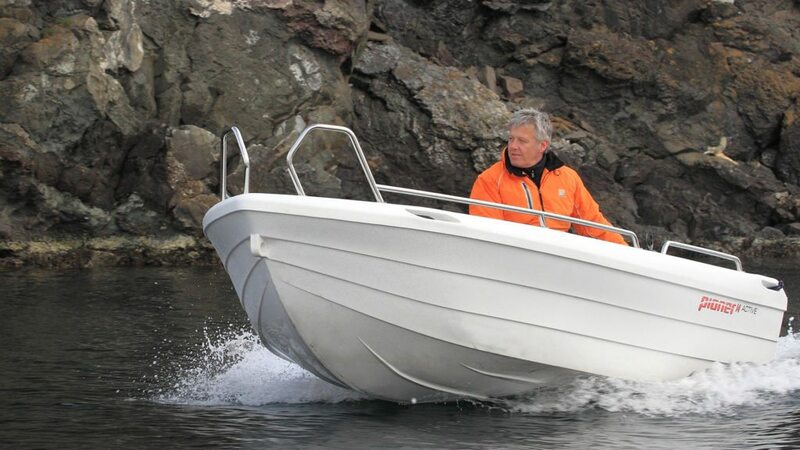 A high freeboard gives protecting from waves, keeping you dry and comfortable. 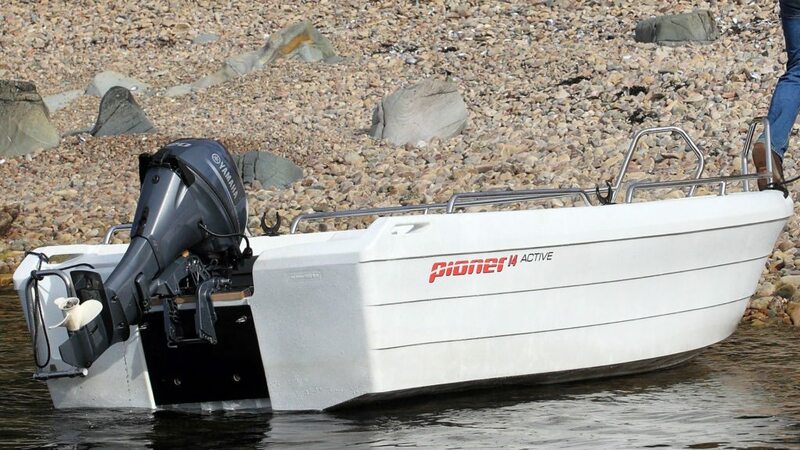 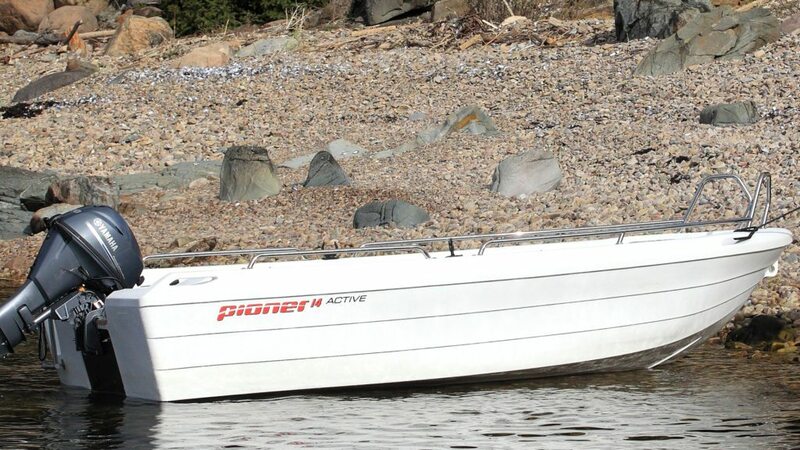 Pioner 14 Active is a spacious 14-foot boat for four people. 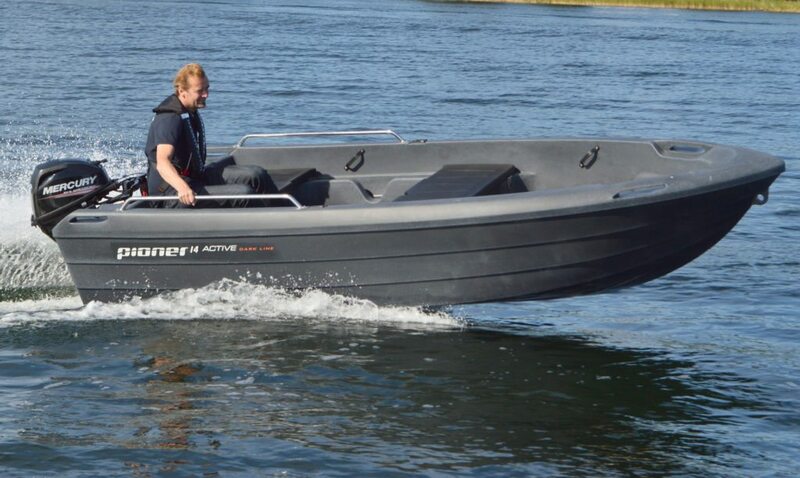 All information and measurements are given in good faith but cannot be guaranteed. 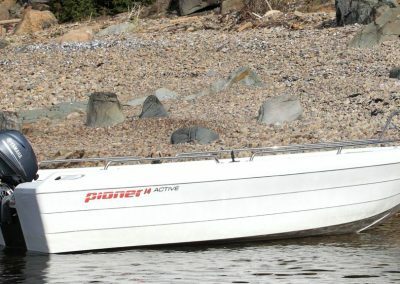 They may be subject to alteration without notice.